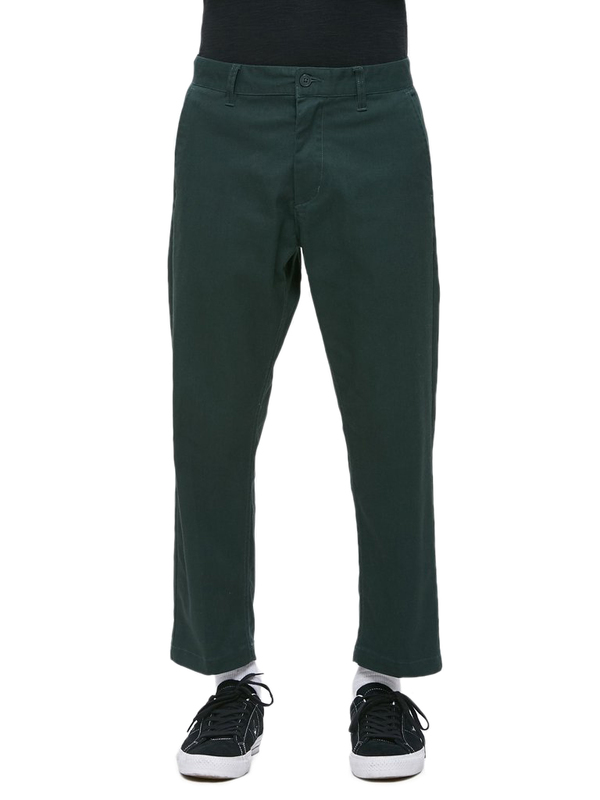 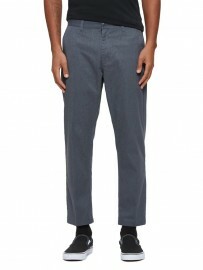 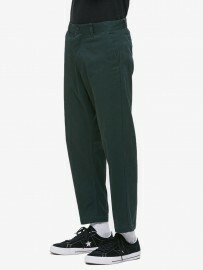 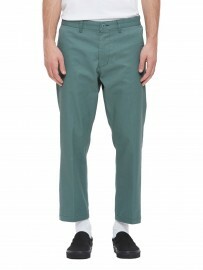 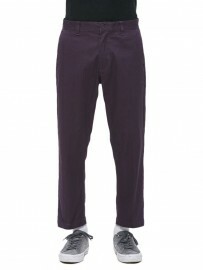 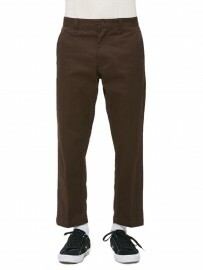 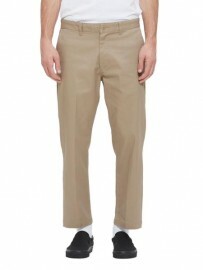 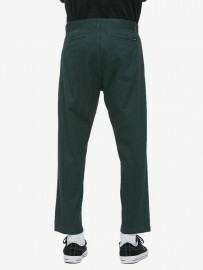 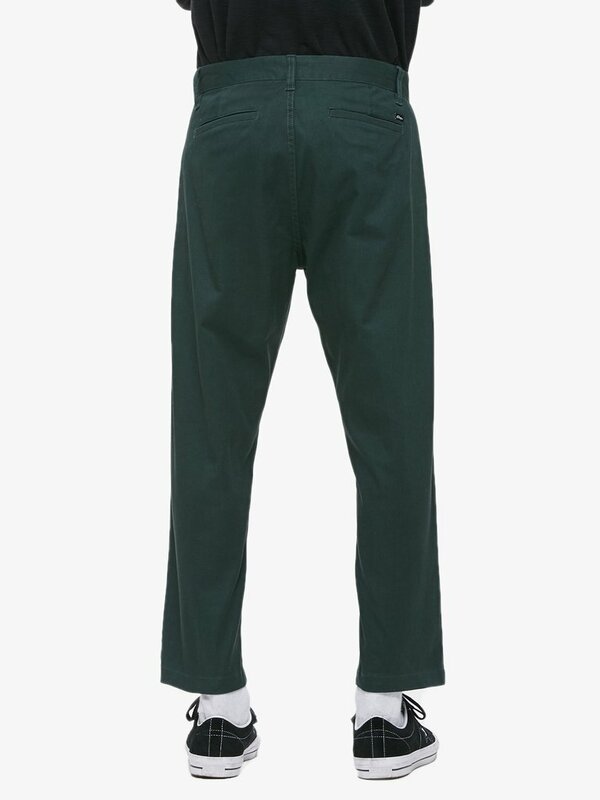 Standard fit flooded (shorter inseam) stretch twill pants with button and zipper fly closure at center front. 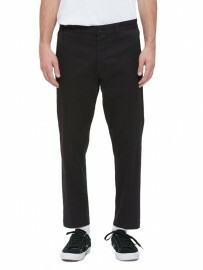 Features slash pockets, contrast interior details, back welt pockets and a hard pressed crease along front and back. 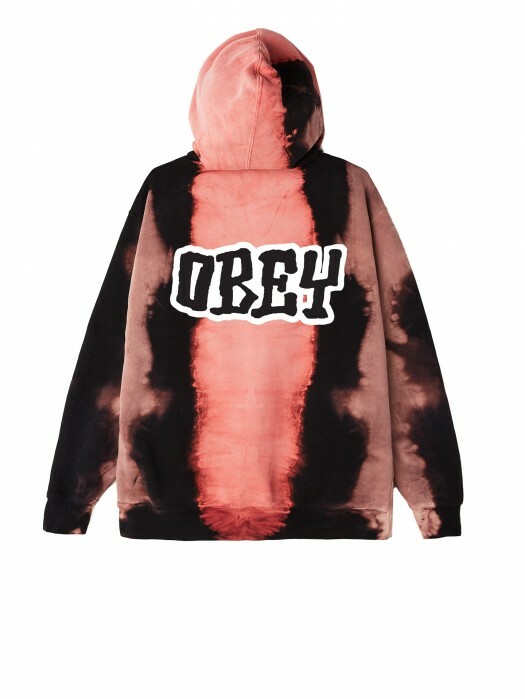 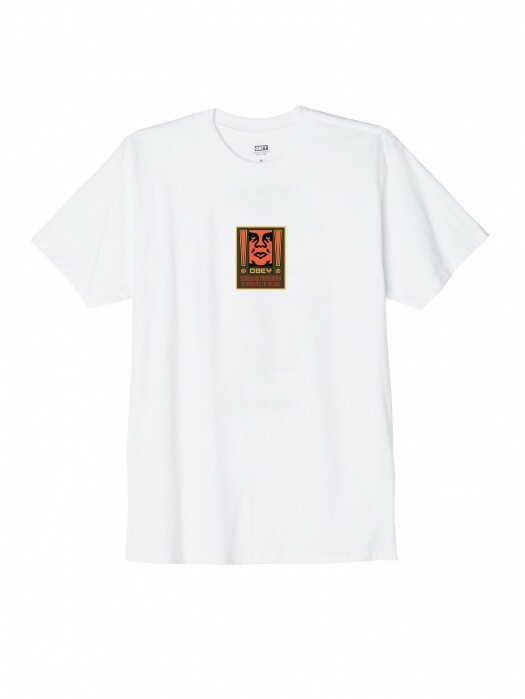 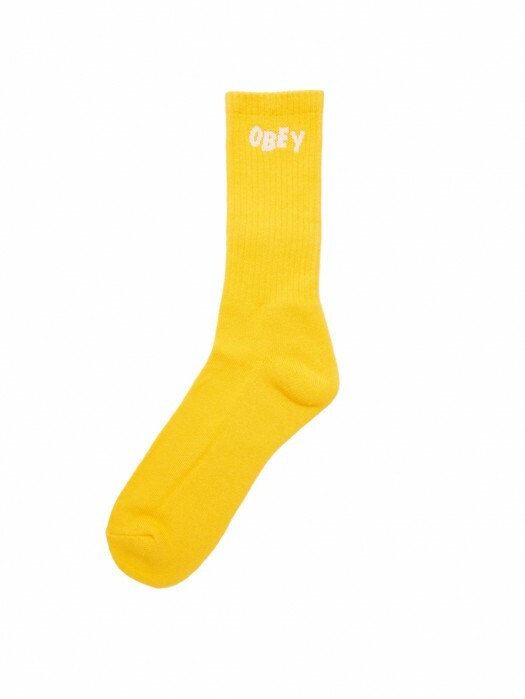 Includes OBEY specialty labels at exterior back waist and interior waistband.